Cork Closures Seal 88% of the World’s Top Wines? NEW YORK (PRWEB) – According to a recent survey conducted on behalf of APCOR – The Portuguese Cork Association, 88 percent of the world’s top wines as selected by Wine Spectator in 2015, 2016 and 2017 are sealed with cork closures. 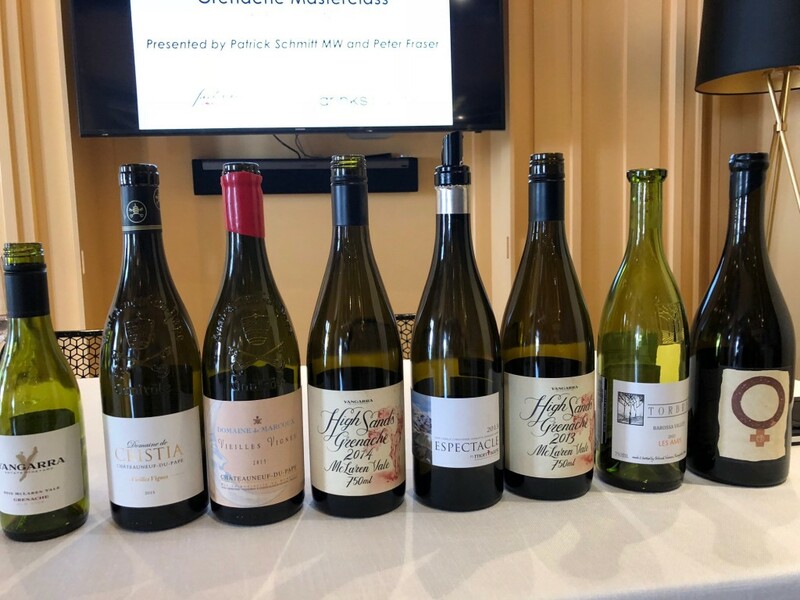 The survey also revealed that 92 percent of red wines and 74 percent of white wines selected in the last three years were sealed with cork closures. Cork closures are 100 percent recyclable and sustainable. They are sourced from the bark of the cork oak tree, which regenerates after being harvested by hand every nine years. Cork oak is a World Wildlife Fund (WWF) priority species because it is one of the most ecologically, economically, and culturally important species on the planet. Cork oak forests provide habitats for endangered species and are a dependable income for the Western Mediterranean communities that maintain and harvest them. Since 1988, Wine Spectator has released its annual Top 100 list, selecting the best wines from the thousands reviewed during the year. According to the magazine, the criteria used to create this highly-regarded, annual list focus on quality, value, availability, and excitement. The information collected in this survey was conducted through individual phone calls and emails to the wineries, importers, and distributors listed in Wine Spectator’s Top 100 List of 2015, 2016 and 2017. For more information about APCOR, visit http://www.apcor.pt/en/ and http://www.100percentcork.org. You can follow APCOR on Facebook, Twitter, and Instagram. For questions about APCOR, please contact Krisna Bharvani of Colangelo & Partners. The Portuguese Cork Association (http://www.apcor.pt/en/) exists to promote natural cork and its products. APCOR is the employers’ association of the cork sector that represents, promotes and carries out research in the Portuguese cork industry. It was created in 1956 and is based in Santa Maria de Lamas, in the council of Santa Maria da Feira, at the heart of the cork industry around 30 kilometers from Porto, Portugal’s second largest city. Membership of the association is open to all companies operating in the fields of production, marketing or export of cork products. The organization advocates on behalf of the Portuguese cork industry worldwide and is the driving force of an industry based on tradition, innovation and sustainability. Colangelo & Partners (http://www.colangelopr.com) specializes in premium food, wine and spirits brands, and has long established relationships with the key press that drive these business categories and help determine the industry leaders. Agency principals have years of experience in retail and distribution as well as communications, a rare combination that gives Colangelo & Partners invaluable insights into consumer purchasing behavior. The agency focuses on ‘closing the loop’ between creative communications programs, distribution, promotion, publicity and the consumer in order to maximize the efficiency of its communications programs and deliver measurable results. Founded in 2006, Colangelo & Partners was honored as one of the year’s top integrated communications firms at the 2013 Agency Elite Awards and for one of the best digital marketing campaigns at the 2014 Digital PR Awards. TORONTO (PRWEB) – Following the destruction of precious, rare and historic wine collections valued at over $7 million during hurricane Sandy in 2012, fine wine transportation specialists, Xpeditr, launched XERT, the Xpeditr Emergency Response Team. As specialists in temperature-controlled wine storage, shipping and transportation across USA and Canada, Xpeditr is on a mission to protect and preserve liquid treasures. They are renown for their premium fine wine relocation services, and now their Emergency Response Team! Wine collectors, sommeliers and wineries across North America have learned lessons from previous disasters and the millions of dollars lost in precious wine collections, many of which were to be auctioned for the benefit of charities, hospitals and non-profits, once perfectly aged. Now, with the assistance of Xpeditr, collectors are not only prepared to relocate fine wine collections to prevent losses, but also have the security that comes with the Xpeditr Wine Cellar Assessment to establish flood and hurricane readiness. Xpeditr clients are assigned an Account Manager who handles the assessment as well as all transportation, fine wine storage and shipment needs, providing a tailored and personal approach to the entire experience. 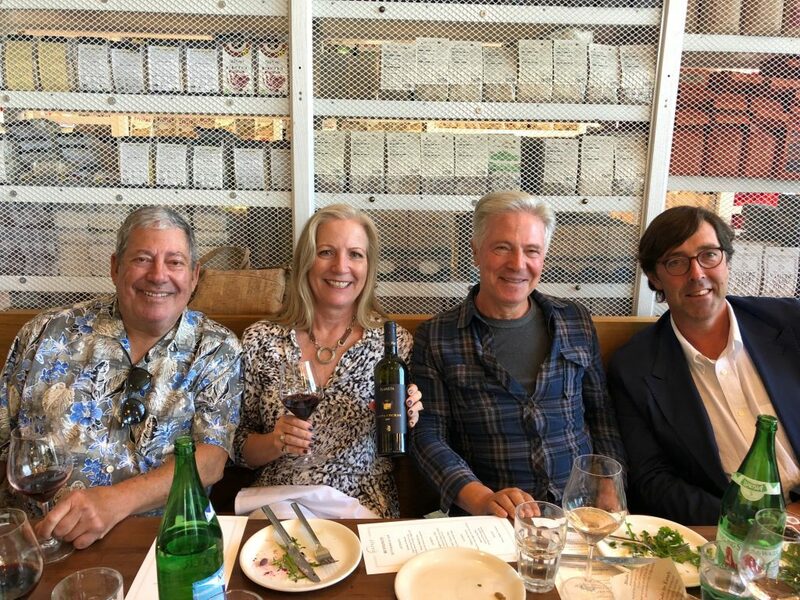 Xpeditr employees are themselves fine wine collectors who not only understand the inherent importance of controlled conditions in aging, but also appreciate the bouquet, body and finish of a perfectly aged wine. Xpeditr Account Managers also ensure that clients have proper and adequate insurance coverage, and provide Wine Transportation Insurance for all USA and Canada wine relocation services. Wine collections ‘in transit’ are rarely covered by traditional home insurance policies. Xpeditr offers peace of mind with wine insurance coverage including temperature damage, breakage, theft, and loss. Because of their expertise, efficient services, and utmost professionalism Xpeditr is the premiere choice when wine collectors choose to relocate their liquid treasures. If disaster does strike, Xpeditr offers emergency assistance! A call to the Emergency Response Team, and wine collectors immediately have a squad of experts ready and able to help. As demonstrated during the unfortunate events of hurricane Irma in September, Xpeditr answered the calls of Florida collectors, and sent their team south to package, transport and relocate more than 20,000 bottles of fine wine, worth up to $5 million, to safety. Founded in 2005 by a team of logistics experts looking for a reliable solution to the transportation of fine wines, Xpeditr Inc. offers clients a streamlined, door-to-door solution to wine relocation across USA and Canada. Xpeditr understands that when liquid treasures are at risk, the potential for financial loss is felt by all parties involved, including local and national charities, who often rely on the donations and funds raised at fine wine auctions. Staffed with sommeliers, logistics, transportation and warehouse professionals, the Xpeditr team provides a stress free, custom tailored solution for all wine relocation needs. Xpeditr is trusted for their expertise, efficiencies and utmost professionalism, and is the premiere choice for fine wine relocation across North America. Led by Anthony Dias Blue, Editor-In-Chief of the Tasting Panel magazine, this seminar delves into the extraordinary wines hailing from the southern region of Calabria. Celebrating traditional Calabrian varietals such as Greco, Magliocco and Gaglioppo, this seminar will outline the unique features that make Calabria one of the premier wine regions of Italy. Piero Selvaggio, owner of Valentino restaurant and Jonathan Mitchell, General Manager of Locanda del Lago restaurant, joined Blue on the panel. Blue began by saying that the people of Calabria normally drank all of their native Italian varieties and didn’t export their wine until recently. The area is on the tip of the boot in Italy and one of its first settlements. One final note, Blue said all of the wines were inexpensive; the most expensive is maybe $35, most about $20. Selvaggio said that these are wines for today, with medium bodies, a fresher style, and, in general, no further aging is needed. The mountain and sea region of the area produces simpler foods like goat and mutton, with seafood being “the blessing of the area.” A poor region, people often left it for other countries. There are no Calabrian restaurants in the U.S., according to Selvaggio, but they do influence the menus in our Italian restaurants. Of note, he said technically, the wines of Calabria will improve. Rich rose petals, Luxardo cherries, white pepper – a really rich nose. Acidic, cherry fruit and stems, palate drying, tingly finish. Mitchell suggested pairing with smoky meats. A favorite. A honey nose, ripe cantaloupe, deep color, mouth coating viscosity, pear/fruit salad. Selvaggio suggested this wine to pair with a light seafood pasta. A steely, mineral, fresh cut grapefruit nose. Acidic and fruit forward with burst of yellow peach and lime. Selvaggio said this was indicative of the food and wine pairing found in the region, and it lends itself to a seafood Carpaccio, maybe with the addition of olives and capers. I was pleased with this one. Obscure grapes were used in this wine per Blue. Dusty dark blue fruit on the nose. Astringent, dry, green pepper, dry/dark plums, palate drying finish. I wanted more fruit on the palate. 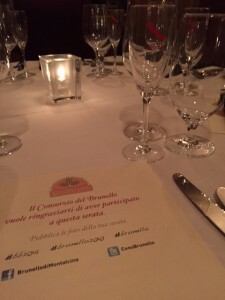 Selvaggio thought it could stand up to pork or pasta with a good ragu sauce, due to tannins. Mitchell noted that the grape had a thick skin but the wine was not aggressively tannic. Blue thought it was charming. Everyone wanted cheese to pair it with. Nice fruit-forward nose, plum, blackberry, somewhat candied. On the mouth it was tart, dark chocolate, cigar. Selvaggio thought that other than a robust fish, this would go well with Calabrian boiled meats – called bollito. Blue liked that the length goes on an on. Mitchell thought it would pair well with items from his restaurant menu. As I was getting ready to leave the Circle of Hope’s Vine 2 Wine CLASSIC last month, there was a rumor swelling…all opened bottles had to be finished, poured out, or stored properly in the trunks of cars to enjoy at home. I made a beeline for the Library Wine tables first, and there was my pal, Steve Elzer, pouring wines from a cellar that he and his wife, Amy, had generously brought to the event. He handed me a 1994 Quintessa Rutherford Napa Valley red blend that he had opened, but hadn’t yet poured. I didn’t even try this at another table, I felt I got more than I thought was my due and so I watched while other volunteers zigzagged their way around to find their own treasures. No, I didn’t have it the same night as the event, as my glass had been kept more-than-full-enough with wonderful tastes all day. Aroma – White pepper, plum, mushroom. Flavor – Medium tannins, blackberry fruit, balanced. Conclusion – After five minutes in my glass the wine softened much more than I had expected it to. Quite enjoyable for having so much age on it, possibly the Merlot factor as a Bordeaux with a lot of Merlot can go a long time. My curiosity got the better of me and I checked the ratings on Wine Spectator. I found a 1997 review of the 1994 that gave it 91 points. This $70 bottle was expected to be good through 2001. Ratings, for me, are not the end of the wine discussion. Reading them ahead, or any tasting notes for that matter, can prove to make the experience far too subjective to me. So, my conclusion is that I was more than happy with my wine. It was a generous gift, a wonderful memory from a wonderful day and damn good well past 2001. Belated condolences to the Dusi family on the passing of Dante Dusi late last year. 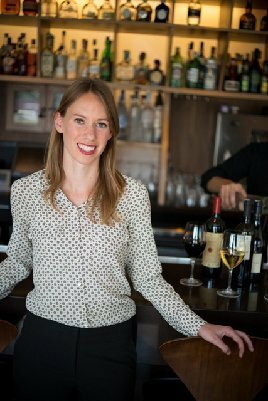 A Paso Robles pioneer, his legacy to the wine world is being carried on by granddaughter Janell with her J Dusi Wines. 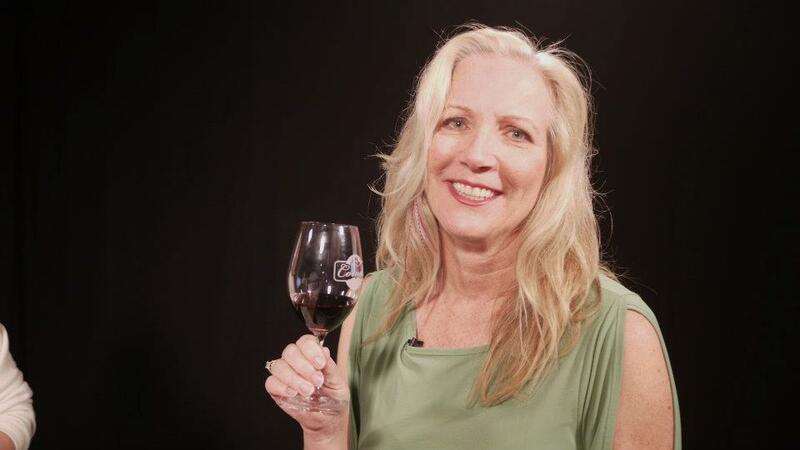 Morgan Twain-Peterson of Bedrock Wine Company recently posted on Facebook that the Historic Vineyard Society will be releasing a 2013 blend of the Bedrock Vineyard Zinfandel. The blend will consist of wine produced by Bedrock, Biale, Carlisle, Ridge and Turley – the big five supporters of the HVS. Speaking of Morgan, we’ve been drinking an awful lot of Bedrock Wines these days. Easy to see why the San Francisco Chronicle named him co-winemaker of the year [along with Tegan Passalacqua of Turley]. NapaValleyRegister.com reported that more than 400 sprinkler heads were stolen from Yountville vineyards earlier this year. Hmmm, just…hmmm. From NYPost.com – A major champagne producer changed distributors, upon which a top salesman of the fired distributor sent a picture to a female executive of the winery. The photo was of him pouring the winery’s champagne out into a bucket while his crotch was being grabbed by a stripper. Classy. Does it bother you when you are watching a television show and they go to the trouble to have nice wine glasses but the actors sit around holding the glasses by the bowls instead of the stems? Drives me crazy. A popular festival used a picture of a winemaker from one of my articles to promote that winemaker’s appearance on their radio show and at their festival. The photo was used without my permission. Not sure if I should be flattered or annoyed – I guess a little of both. A good friend of mine asked me to write something about whether wines really benefit from aging. I expect that in the right hands this would be a huge topic with a lot of information. I don’t have the right hands. My own opinion, for what it is worth: Most wines aren’t built for long term aging and don’t need to be. I rarely age wines beyond five years, so I don’t have a lot of experience in that area. But I think lots of wine can benefit from at least a short-term laydown, with the caveat that there are a lot of variables that might influence the outcome, such as temperature, humidity, lighting and of course the wine itself. Not to mention the type of closure. And speaking of closures [don’t worry Eve, I’m not going to beat this dead horse for long], the debate will probably rage on long after I am gone as to whether corks versus screwtops should be used. I’ve expressed my opinions ad nauseum and others have expressed theirs. But one of the arguments consistently used by natural cork advocates is that the porosity of cork is necessary for proper long term aging. Now winemaker Stillman Brown has effectively in my opinion put to rest that “canard” so I won’t dwell on it here. But, I will add that since most wines are not laid down for long term aging, that argument, whether you buy into it or not, doesn’t really apply to the vast majority of wine being sold. 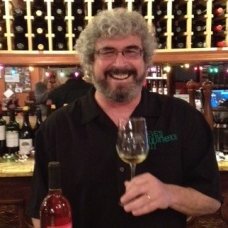 WHAT: TOSCANA welcomes Joe Davis of Arcadia Winery, who will introduce wines from their exceptional winery in Lompoc, California. The four course Tuscan menu by Chef Hugo Vasquez will be paired with five wines from the collection. Joe Davis began his winemaking career in the 1980s, opening his own brand in 1996. He has consistently made quality Chardonnay, Pinot Noir and Syrah from some of the most prestigious vineyards in the Central Coast. Particularly interesting is the ageability of his wines. He may be releasing 7 year old wines while many Central Coast producers are focusing on wines to be drunk in their youth. Greatly influenced by his role models in Burgundy (namely Domaine Dujac), Davis uses techniques such as stem inclusion and extended barrel aging to make his wines full structured and age worthy. Like a top negociant, Davis knows all the intricacies of the vineyards he uses and keeps detailed logs of each vintage he harvests. Look forward to the 2001 Gary’s Vineyard Syrah which Davis touts as the best wine he has ever made from Gary’s Vineyard. WHEN: ONE NIGHT ONLY Tuesday, April 7, 2015, 7:00 p.m.
TOSCANA quietly opened in April of 1989 by first time restaurateurs Mike and Kathie Gordon who dreamed of recreating the simple, delicious food and warm, inviting ambiance they found in Italy. TOSCANA’s success exceeded all expectations. The restaurant was quickly discovered and populated by guests who became regulars, dining on exquisite and authentic Italian fare a few times a week for lunch and dinner. Twenty five years later, TOSCANA continues to thrive. The Consorzio del Vino Brunello di Montalcino was created in 1967 right after the recognition of its D.O.C., as a free association of producers, intent on safeguarding their wine. The four denominations of wine for the region include Brunello di Montalcino, Rosso di Montalcino, Moscadello di Montalcino, and Sant’Antimo. There are 250 producers in the Consortium that combined total 3,500 hectares of vineyards. Brunello is obtained exclusively from Sangiovese grapes (locally known as “Brunello” grapes) grown within the territory of the Montalcino township. The wine is currently considered the “diamond edge” of Italian production. The main feature of Brunello is its long aging before being put on the market. The oldest bottled Brunello is dated 1888 and kept in the cellars of the Tenuta Il Greppo. The name Brunello can be given solely to wine produced and bottled within the township of Montalcino. Brunello di Montalcino can undergo long aging, improving as time goes on from a minimum of 10 years up to 30 years. Brunello di Montalcino “must be served in widely shaped crystal glasses” to fully appreciate the wine’s bouquet. While Brunello is “destined for long aging”, the Rosso di Montalcino is considered a “younger brother” with more liveliness. Moscadello di Montalcino is a dessert wine produced in still, sparkling and late harvest types. Sant’Antimo produces both red and white wines from several different grape varieties. Piero Selvaggio and VALENTINO have made a significant contribution to the Los Angeles restaurant scene for over forty two years, introducing authentic Italian products, wine and regional cuisine to the public and nurturing many of our most influential chefs and restaurateurs. Selvaggio was recently recognized for his achievement in Angeleno and Wine Spectator magazines in October 2012. VALENTINO was named among the best Italian restaurants in the United States by Travel & Leisure and The Daily Meal. The restaurant was named among the thirteen restaurants that changed the Los Angeles dining scene by Zagat.comin 2012 and awarded Top 10 Romantic Restaurants, Top 10 Wine Lists, Top 10 Italian Restaurants in Los Angeles by Gayot.comin 2012. In 2013 Piero Selvaggio was one of five recipients of the prestigious Grana Padano Italian Cuisine Worldwide Awards and was also profiled for the “Lifer” interview in Eater LA about his legendary career the same year. With its intimate dining rooms, unsurpassed wine cellar, and the consummate graciousness of owner Piero Selvaggio, VALENTINO remains the favored destination for some of the best dining in Los Angeles. RANCHO SANTA MARGARITA, CA. – AsomBroso Tequila has announced the latest edition to their Ultra-Premium Fine Line of Tequila’s – one of a kind Ultra-Premium 11 Year Old, Double Barreled, Cabernet Sauvignon Anejo rested exclusively in Silver Oak American Oak barrels. Elegantly housed in a Crystal Decanter, hand made by Italian artist Luciano Gambaro, displayed in a finely polished Humidor and resting on a laser engraved custom pedestal, this one of a kind, limited release, 11 Year Old Cabernet Sauvignon Anejo is as stunning visually as it is on the palate – and will be available for the 2014 holiday season. 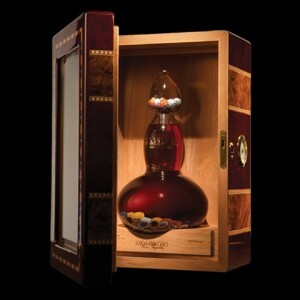 Visit us on the web at: www.atequila.com to order. Color – Rust to golden brown. Aroma – Macadamia nut, caramel, eggnog, surprising, with very little burn. Flavor – Toasted pine nuts, quality brandy flavor, sweet toasty finish. Pairing – Maybe it’s the time of year, but just a tablespoon or two of this in Eggnog would rock. Conclusion – Like a fine brandy, this Tequila deserves to be slowly sipped. The use of American Oak is a hallmark of Silver Oak Cabernet Sauvignon. To ensure the long term availability of American oak barrels, Silver Oak formed a partnership with A & K Cooperage in 2000. Located in Higbee, Missouri, A & K Cooperage is a small, family-owned company that has produced premium barrels for over 30 years. It takes 80 years to grow an American White Oak tree to maturity and another 2 years to properly age the wood. From there, the wood is toasted to exact specifications and handcrafted into a 59 gallon barrel. AsomBroso ships the barrels to their distillery in Mexico, where they are filled with the AsomBroso “Vintage: 11 Year Old Extra Anejo, which then rests for an additional 3 to 6 months, or until Master distiller Ricardo Gamarra determines it has reached the right complexity. Ricardo goes on to explain: “Our ‘Vintage’ 11 Year Old Extra Aged Anejo won Best of the Best by the Robb Report and has won multiple Gold Medals. Rested in French Oak, housed in a decanter designed after the chandelier in the Bellagio lobby called “Fiori de Como” by world renowned glass sculptor Dale Chihuly, “Vintage 11 Year Old Anejo is a gem all unto itself and was the oldest Anejo of its time”. The resting of my “Vintage: 11 Year Old Anejo in Silver Oak’s American oak barrels is exquisite! Along with our latest Double Barrel Rested Anejo “The Collaboration”, we also have “El Carbonzado” (Double Barrel Rested in Tennessee Whisky Barrels), “Del Porto” Double Barrel Rested in Port Barrels from Portugal) and our still resting “Black Pearl”. The Agave Club was created so that Ricardo could keep in direct contact with the most important side of his business, his customers. The Agave Club offers an exclusive membership, keeping all members up to date with current tequila trends, offering tequila 101 classes as well as periodic specials for the entire AsomBroso product line. There are a number of ways new members can sign up: go to www.atequila.com and fill out the online application, fill out and send in the application card that comes in each bottle of tequila or by scanning the QR code with a smart phone. AsomBroso, owned by California Tequila, LLC., headquartered in Rancho Santa Margarita, California, is proud to be known as the producer of “The World’s most Exclusive Tequila.” No other Mexican distillery can make that claim. The company is family owned, with the distillery located in the town of Tequila, Jalisco, Mexico. The AsomBroso line of tequila includes their award-winning El Platino, Which won “Top Tequila and double Gold Medals at the San Francisco world spirits Competition; La Rosa, their “pink” Reposado tequila made by resting the El Platino in Bordeaux wine barrels from France, Gold Medal winner and was the first Pink Tequila in the world; 5 Year Old Extra Anejo Gran Reserva tequila was voted “Best of the Best” by Robb Report Magazine and awarded numerous Gold and Double Gold medals; and their 11 Year Old Anejo, which also won the “Best of the Best” award from the Robb Report Magazine as well as numerous Gold and Double Gold medals; The limited release last Christmas El Carbonzado; the just released Del Porto and soon to be released: The Collaboration, The Black Pearl and a tequila rested beer with our 11 Year Old Anejo barrels produced by Stone Brewery in San Diego, California.